voices, these instruments also offer a wide range of harmonics and frequencies. All Sound Creation Gongs live up to their name. The sound is literally created in a bespoke fashion by highly skilled artisans. This process takes time to ensure the best possible result. 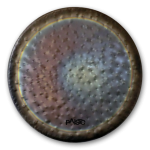 Please be aware that the appearance of Sound Creation Gongs can differ from the photo shown. 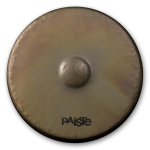 We also supply replacement Paiste Gong Gut. We also have access to some very rare Paiste Sound Creation Gongs. Please see the list below and please email for more information.